The Club is the oldest of all the Breed Clubs in the UK and was founded in 1920. 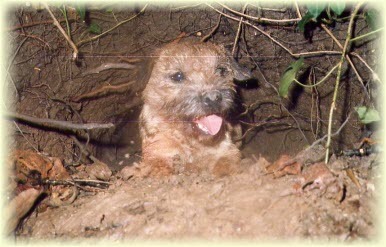 This site is for Club Members and others who would like to find out more about the Border Terrier. Browsing through the site you will find information about the Club, membership, shows etc. For those with a new interest in the breed, we hope to show you a balanced view of the Border Terrier. If you need any further help, advice or to make a puppy or stud enquiry, please see the Contact Us page where contact details of our Committee members are listed. 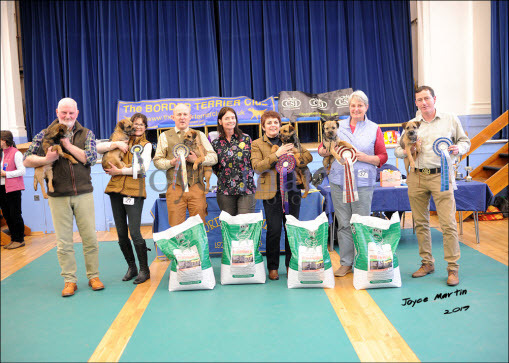 The Club is very proud of the Breed's working traditions and issues Working Certificates to those terriers who have proved themselves below ground. The first Working Certificate was issued in 1920. Please find below links with information received from our Breed Education Co-ordinator Jayne Gillam. BTC Open Show, 23rd February, Jedburgh. Our Judge Kevin Green with his main winners. 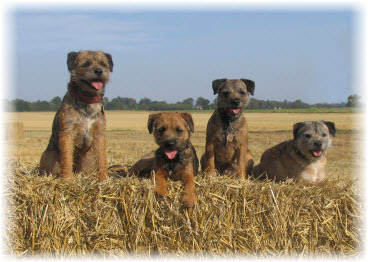 Following requests from members and Committee, we are grateful to the Animal Health Trust ("AHT"), liaising with the Border Terrier Breed Health Group, for a 10% discount to be made available on the AHT SLEM Test to all members of the seven Border Terrier breed clubs. The code is available to Border Terrier Club members on request from the Secretary and when this is entered at checkout online, it will give the 10% discount on the test. The usage will be monitored by AHT and the continuing availability of the discount will be reviewed in due course. 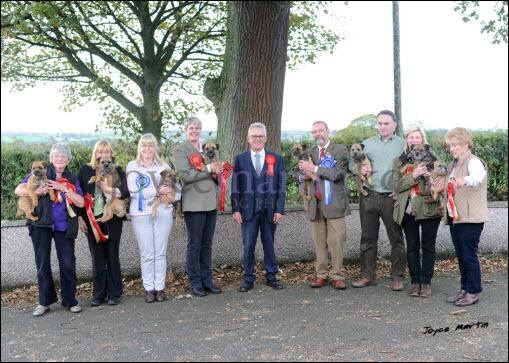 The Border Terrier Club is to produce a Book of Champions, to follow on from the previous two Books, which were edited by Jayne Gillam. 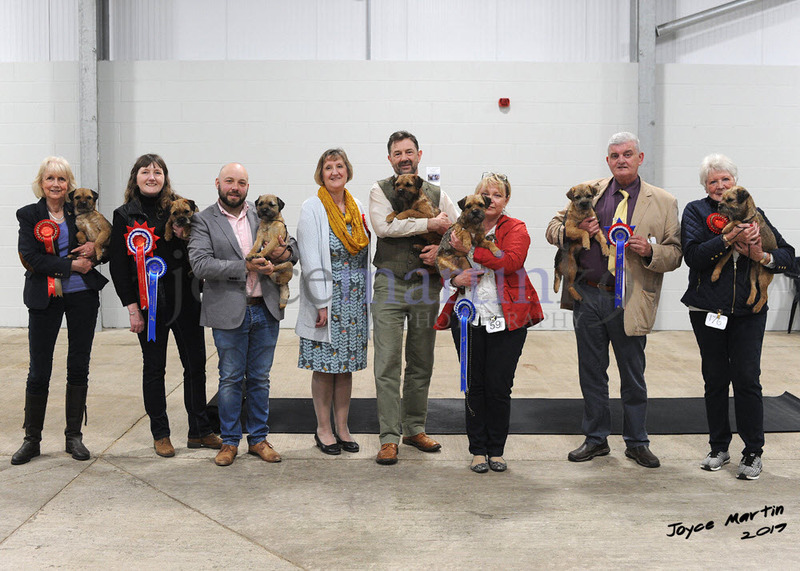 This will be one of our highlights for the celebrations of the Club's 100th Anniversary in 2020 and the book will consist of photographs, pedigrees and other information about each of the Border Terrier UK Champions made up during the 20 years from 2000 to 2019 inclusive. The Club's Judges List is revised annually and we request that Applications/Updates are to be received no later than the 31st August for consideration each year. Please send completed questionnaire form to Kathy Wilkinson, Peel House, Edmondsley, Durham, DH7 6DL. Kennel Club Guidance to A2 Judges List Procedures. Guidance current as at October 2014 and replaces Press Release number 186.03. A change in government legislation regarding data protection called the General Data Protection Regulation (GDPR) is effective as of the 25th May 2018. Click here to view updated General Code of Ethics: Including additional paragraphs B 8a) to B 8c) inclusive, approved by Members at the Annual General Meeting on 31 March 2018, and accepted by the Kennel Club on 3 May 2018.